The STEM skills of Australia’s future innovators were on display this week at the 2019 BHP Foundation Science and Engineering Awards. Healthcare technology and solar-powered water treatment were some of the winners at this year’s BHP Foundation Science and Engineering Awards. The annual event highlights the achievements of students from around the country and showcase how the next generation of STEM leaders are helping create a better future. According to CSIRO Chief Executive Dr Larry Marshall, the competition shows how young people are passionate about applying science, technology, engineering and maths to solve some of the world’s big challenges. “STEM skills go well beyond the classroom; they teach our students to think creatively about problem solving, which will be critical in a future shaped by genetics, synthetic materials, AI and other disruptive technologies,” he said. Gongs are given in three categories: Engineering, Investigations and Innovator to Market. First place in the Engineering category was awarded to Isaac Brain and Mitchell Torok. The pair have developed a smart watch that monitors aged-care patients. Named aWear, the watch aims to prevent hospitalisation from falls by providing nursing staff with real-time status reports on residents’ whereabouts and activity. The watch features an alert button, an accelerometer for fall detection and it links to a database that shows each resident’s location on an interactive map and communicates with nursing staff via SMS. In second place was Lucy Lake, who created an improved rowing oar based on whale tubercle features. She was inspired to create her designs after noticing racing results for competitive rowing have plateaued in recent years – and lack of equipment innovation was a major reason why. The oar takes principles of biomimicry to diminish aero and hydrodynamic drag. Elsewhere in the world of water sports, a traumatic experience inspired third-place winner James Casey-Brown to create his innovation. After the avid surfer had to save someone from drowning at a beach, he developed a product to help prevent others from a similar fate. His Surf Safe invention uses a CO2 cylinder to inflate a buoyant ring under the arms of a swimmer or surfer. The device is compact enough to be stored in a small pouch around the user’s waist. The competition was doubly good for Macinley Butson, who won first place in both the Innovator to Market and Investigations categories. For her Innovator to Market award, she developed a sticker to accurately measure the amount of solar UV radiation required to sanitise drinking water. The SODIS sticker is a transparent, UV-sensitive film coupled with a partially UV blocking filter. Amazingly, the stickers cost just one cent to produce. And her Investigations category win was for her SMART System, which sees two devices working in tandem to reduce unwanted skin and subcutaneous tissue dose delivered during radiotherapy for cancer treatment. The awards, which have been running since 1981, are a partnership between BHP, CSIRO, the Australian Science Teachers Association, and each state and territory Science Teachers Association. BHP Chief Executive Officer Andrew Mackenzie said these awards are often a prelude to greater achievements down the road. “The dedication and passion these students have for STEM is inspiring,” he said. Six of the finalists will go on to represent Australia at the Intel Science and Engineering Fair (ISEF) in the United States. Last year, Australian high school student Oliver Nicholl won first place at the competition, as well as the Gordon E. Moore award – given to the “best of the best”. 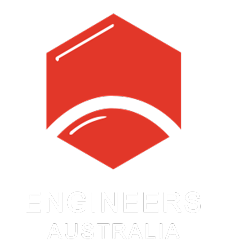 Butson will likely make a repeat appearance at the ISEF, as she also represented Australia at last year’s competition, winning third in the environmental engineering category.